This little book on " Sport in the Low-Country " is submitted to the public by the writer with diffidence, as he feels that there are men in the Island who are more competent than he to write on the subject. He, however, believes himself to be not altogether without qualifications for the undertaking, as he has spent the greater part of twenty-five years in the forests of the low-country, and has thus had, of necessity, many opportunities of observing the habits of wild animals and of learning by experience the best, pleasantest and cheapest ways of obtaining sport. It is not expected that experienced sportsmen will learn anything new from the following pages, but it is hoped that the little book will be found useful by strangers and new-comers going on their first shooting trip to the low-country. 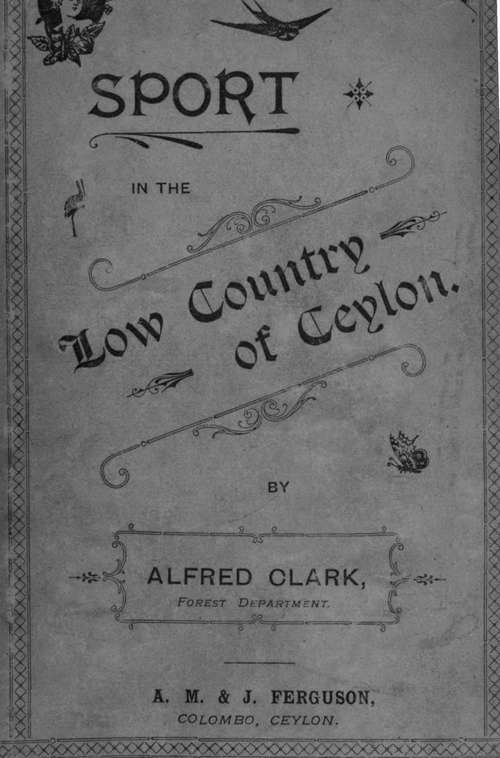 By Alfred Clark, Forest Department. Author Of " The Finding Of Lot's Wife," "A Dark Plaoe Of The Earth," "In A State Of Nature," Etc.